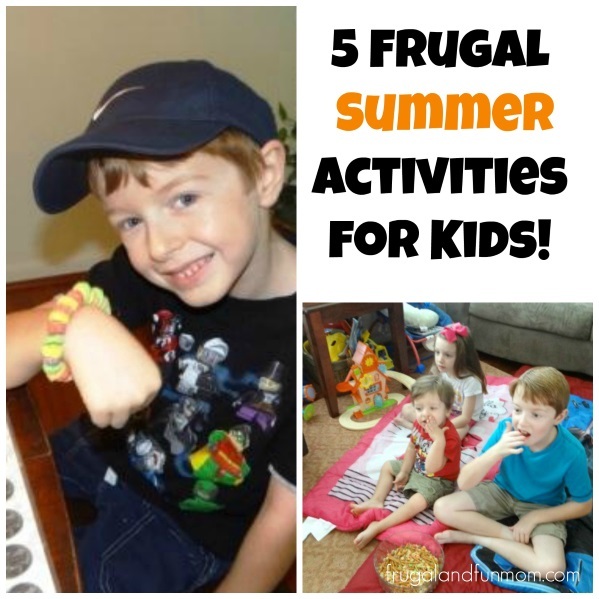 5 Frugal Summer Activities for Kids! I am about halfway through my kid’s summer vacation and there have been a few days where that I have gotten the “Bored Look”. 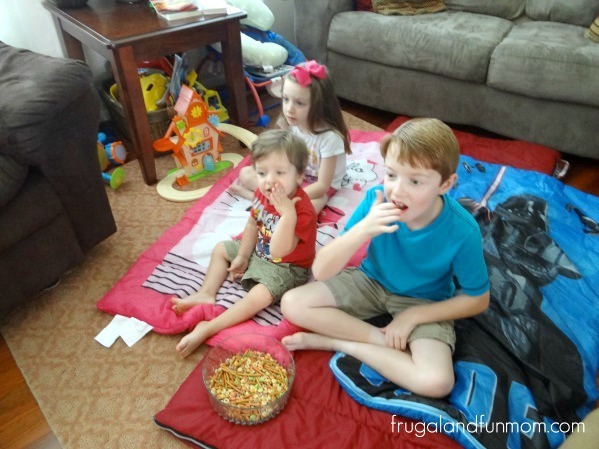 We still have a way to go till school starts, and through personal experience, here are 5 Frugal Summer Activities that will keep the kiddos entertained. 1. 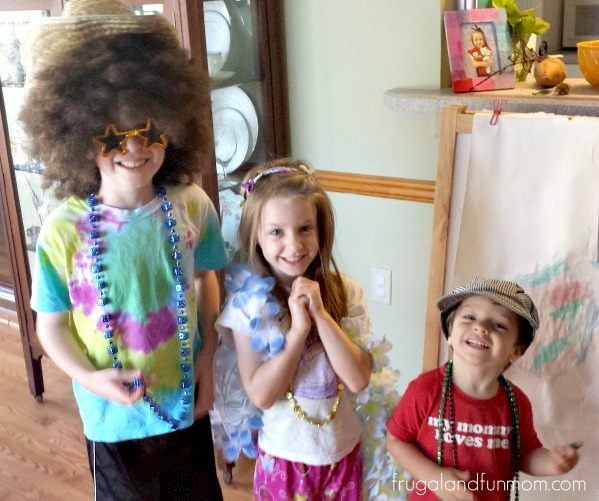 Dress Up – I keep all of the past Halloween Costumes, beads from Parades, old purses, and sunglasses so that my children have items to play dress-up in. I put them in a tote and when the kids get bored, I bring it out and let their creativity soar. 2. Water Colors – I picked up 3 sets of Water Color Paints for $1.99 each at Michaels. I gave the kids a theme, construction paper, and they tried to create it in art. Other times, I just tell them to use their imagination, and I end up with plenty of unique pieces to show for it. 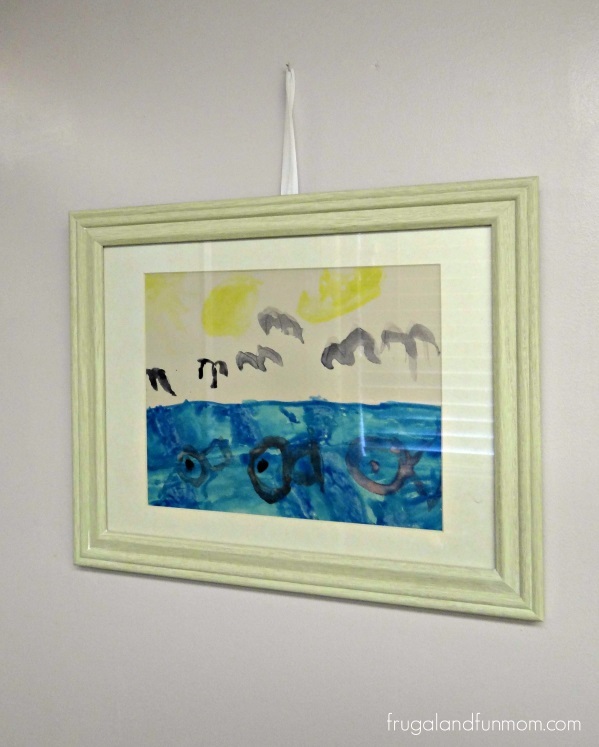 One time I asked my son to create a beach scene for his bathroom, check it out here Frame Your Child’s Original Themed Artwork! Frugal and Fun Decorating Idea! 3. Movie Time – I take advantage of the RedBox for an over night rental and we also subscribe to Netflix. If you are looking for FREE Movies, check out your local Library. 4. 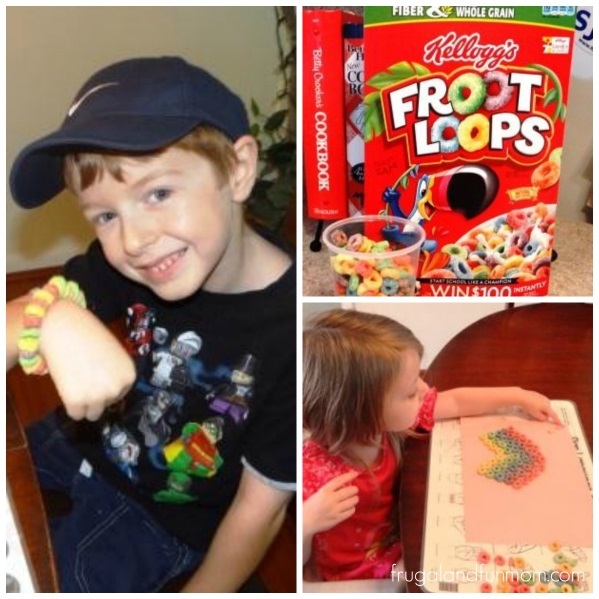 Jewelry Making – My kids have loom band kits, and we also have a bead kit that I bought at Michaels on clearance. FYI, I see these on clearance frequently so you can also pick these up cheaper. Here is an example of a kit we used Making Homemade Beaded Bracelets! A Surprisingly Easy Craft for the Kids! 5. Cereal Play– You can do a lot with cereal. Whether making edible jewelry, creating artwork, or coming up with games. 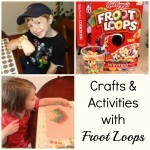 For ideas, check out my post on 4 Fun Crafts and Activities to Do with Froot Loops! 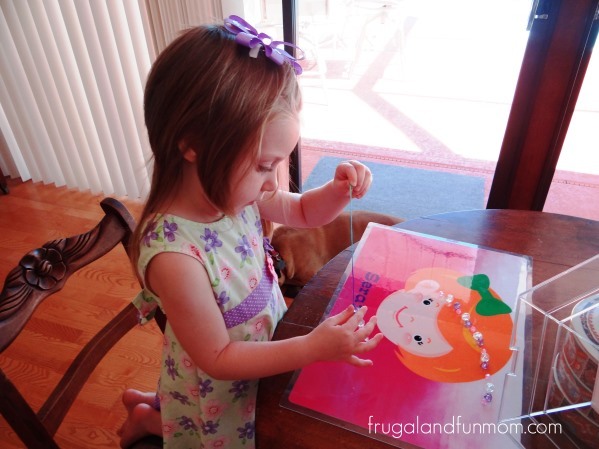 Frugal and Fun Child Activities! What are your “Go To” activities to beat summer boredom? I would love hear your ideas! I hope you can get some fun activity inspiration from this post and enjoy the rest of your summer! 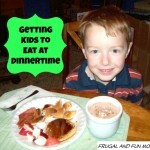 6 Helpful Tips To Getting Kids To Eat At Dinnertime! Those are all great ideas! Dress up is always fun and it is something mom can get involved in to make it extra funny. We do a lot of movie nights at home. Especially on days when it's really hot and we just want to stay inside in the AC! I love those activities. Jewelry making would be fun for my daughter. My teen has made some pretty elaborate friendship bracelets this summer. We learned new ways during camp. You know, I totally think my girls would be ready for jewelry making... wow, you just gave me such a great idea. Thanks so much! We have done a lot of movie nights this summer. My kids are just about the right age now for dress up, I think I'll get the old costumes out of the closet for them. My boys would go for a movie night every night, if we let them. Dress up is a great idea! Those are great ideas for summer fun! WE do a lot of them! Art time is always a favorite for my kids. Great ideas! We are under heat advisory here right now so these will come in handy. 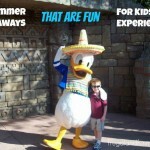 What fun activities, definitely ones that would keep any kids busy and having fun! Now that my kids are older, it's a little easier. I even catch them getting into a good book when they get bored! The pool and any water activities keeps her busy. Great ideas! I always drug out the watercolors for the kids to play around with on rainy summer days, or any day they complained about being bored. Movie time is a great time killer over here. I think I can repeat Frozen word for word. These are great ideas- looks like the perfect list to help cure those rainy day summer blues! We do lots of movies, reading and crafts inside, but love to be outside as much as possible! Our go-to activity is bubbles. My kids will also bite when I invite them to catch the bubbles outside! Love it! Such fun ideas, and you don't have to break the bank! How fun. I love your cereal creations it brings back so many memories of what I used to do with my daughters. Those really are the best days of our lives. My girls have grown up and I am trying to be patient for grandchildren. I truly wish we could bottle time.Thank you for sharing. What a great list of activities. I love the movie times, its been hot here in WA so we have had several movie nights since its to hot to do anything!! Great ideas. We got a free movie from Redbox last week. It was a great way to spend time together and I love that it was FREE. These are great ideas, we love to paint with buckets with water out side on the sidewalk. Our dress ups have been on heavy rotation as well. My kids like to play with their toys and outdoors. There is a lot of crafting here too! If it's hot we're all about movies and snacks! Also family board games once in a while, they're lots of fun too. Thiose are such great ideas!!!! My girls would love doing these things, we need to have more summer fun. We do lots of crafts! Jewelry making, painting, and drawing. We also do scavenger hunts! That keeps the kids busy too!